WeatherBrains Episode 656 is now online (August 13, 2018). If you are crazy about weather, this is THE netcast audio program for you! Tonight’s Guest WeatherBrain served for nearly 30 years in Emergency Management in Alabama including stints under five governors. He served on the cabinets of two Alabama governors. 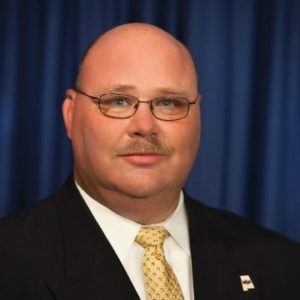 For nearly seven years, he was the Director of the Alabama Emergency Management Agency. Today, he is the Managing Partner at Blue Skies Business Group. Our email bag officer is absent once again so no incoming messages from our listeners. WeatherBrains 101: In this episode of 101, we continue our four-part series on NOAA operations for hurricane and tropical storm research and operational support to hurricane forecasters. This episode looks at the NOAA aircraft used to measure the inside of the storms. The WeatherBrains crew includes your host, James Spann, plus other notable geeks like Kevin Selle, Nate Johnson, Bill Murray, Aubrey Urbanowicz, Rick Smith, Kim Klockow-McClain, and Brian Peters. They bring together a wealth of weather knowledge and experience for another fascinating netcast about weather. Posted: August 14th, 2018 under Shows.